Main event. Mohegan Sun Arena was more packed than usual Saturday night because everyone wanted a front-row seat to see the Pens take on Eric Selleck and the Amerks. Selleck, who had been the subject of a few statements to the media, had caused some trouble during the previous meeting between the 2 teams and took a few cheap shots at nearly everyone. Boulerice finally got his chance at revenge, and needed just 5 huge punches to bring Selleck to the ground where Jesse continued to pound on him even then. Geoff Walker had the answer for that with his first goal of the season as a Pen, and was assisted by Jeffrey and Wallace. Nice to see Walker finally get rewarded with a goal because he gives 100% every game and really is an asset to the team. John Curry was decent in goal, or at least good enough to get the win, and finished with a total of 19 out of 22 saves. But even more important than the stats, it was another win for the Pens who finished the 20 game mark with a record of 16-4. 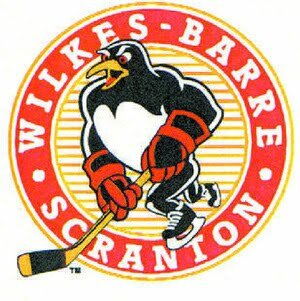 Pens right back in action tomorrow vs Springfield.